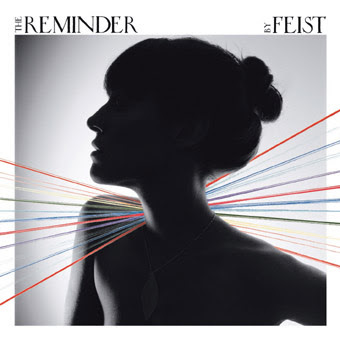 'The Reminder' is the third full-length album by indie rock artist Feist. The album was released on 23 April 2007 in countries outside of North America, and 1 May 2007 in the United States and Canada. Following its release, it debuted on the U.S. Billboard 200 at number 16, selling about 31,000 copies in its first week, and debuted at number 2 in Canada, selling just over 18,000 copies. Confirmed singles include "My Moon My Man" and "1234". Videos were directed by Patrick Daughters, who also directed the video for "Mushaboom".